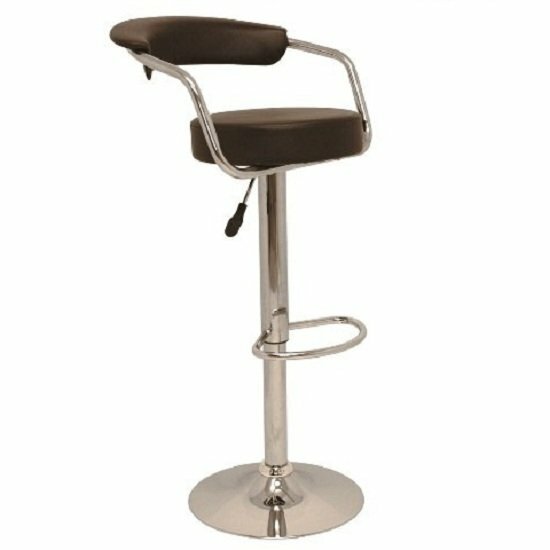 As it was already mentioned, gas lift bar stools with arms are incredibly comfortable to use – this is the primary advantage of these impressive models. 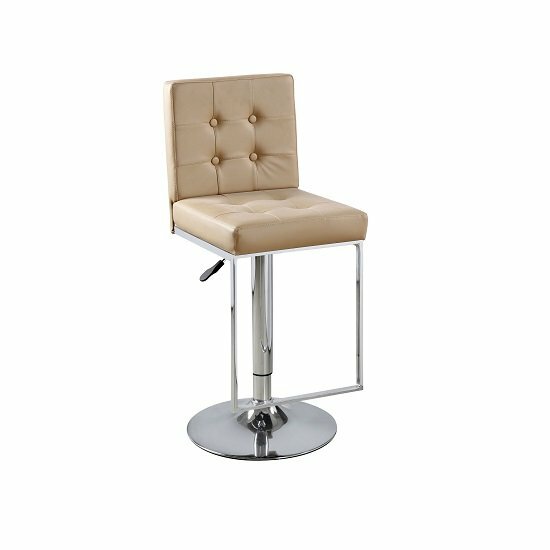 Plus, most stools with arms also have backs, which is great if you want to create a truly relaxing bar spot in your home (or restaurant). Gas lift bar stools with arms are made of a variety of materials. One of the most common ones is shiny plastic. Durable ABS structure is designed to last and is perfect for modern rooms with eye-catching furniture arrangements. Also, there are a lot of stools on a chrome base. Chrome base looks astonishing in combination with genuine leather cushions; however, velvet or wooden top also looks great with chrome. Particular designs to choose from are also plenty. There are stools with compact arms and backs, as well as very spacious models that look practically like armchairs; shapes and sizes vary from one model to another one; and, of course, there are designer models that usually feature very bright, abstract shapes. As it was already mentioned, a lot of gas lift bar stools with arms are made of glossy ABS. This material features a totally crazy color palette, and you can choose any wild shade you like. Yet, even if you go with more dignified leather cushions, the shade palette is still going to be impressive. And, of course, genuine wood features a lot of different natural shades. Given the competitive advantages, described above, it is not at all surprising that any furniture store, without any exceptions, will offer you plenty of gas lift bar stools to choose from. You will see dozens of these models in any shop. Even though gas lift bar stools with arms are available in all furniture stores, you still should not forget that the price range on nearly identical models may be surprisingly diverse. So, if you are still looking for a platform that can offer you a carefully balanced combination of high quality and reasonable price, take a look at Furniture in Fashion . This leading UK store offers not only incredibly vast selection of stylish furniture units; it also has very moderate pricing policy and regularly introduces new discounts and promotions. Plus, it ensures quick delivery to any part of the UK, which is another great perk. Finally, you are always welcome in a company showroom in Farnworth – you can personally check out any furniture piece listed on company website.